It’s been a long road, and we’re excited and relieved to be at the end of it. In May, we shared the very beginnings of a massive Nashville renovation project we’d taken on: bringing a historic Belmont Foursquare down to the studs, and building it back up to its former glory, and then some. 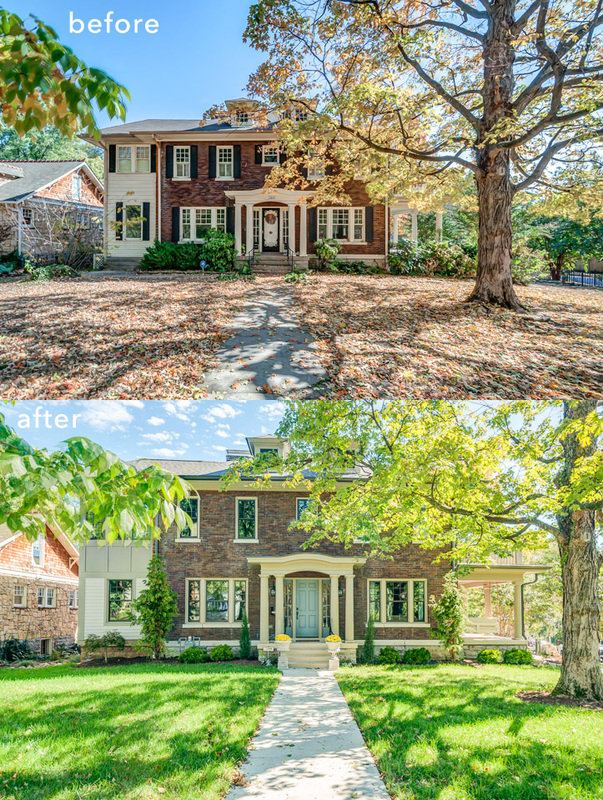 The home, built in the early 1900s, had tons of potential and some incredible original details, but was in need of a lot of love, both aesthetically and functionally. We pulled out crumbling plaster. We exposed original fireplaces. We rerouted odd and inconvenient stairs and walkways and tore out wallpaper that made the walls close in. Slowly, surely and deliberately, we put the pieces back together, choosing new finishes and fixtures that we felt honored the home’s origins. If you’d like to see the mid-project update, we shared a few progress shots/details here. We started the project last November, expecting about an eight- or nine-month renovation, and we were pretty close: We welcomed the first visitors into the completed 6100-square-foot beauty in October. The finished product: 4 bedrooms, 4 full baths, 2 half baths, a sitting room, bar, expansive dining room, media room, screened porch, full basement and more, all designed with a classic aesthetics-meets-modern living intent. Had to start with the most important room in the home. 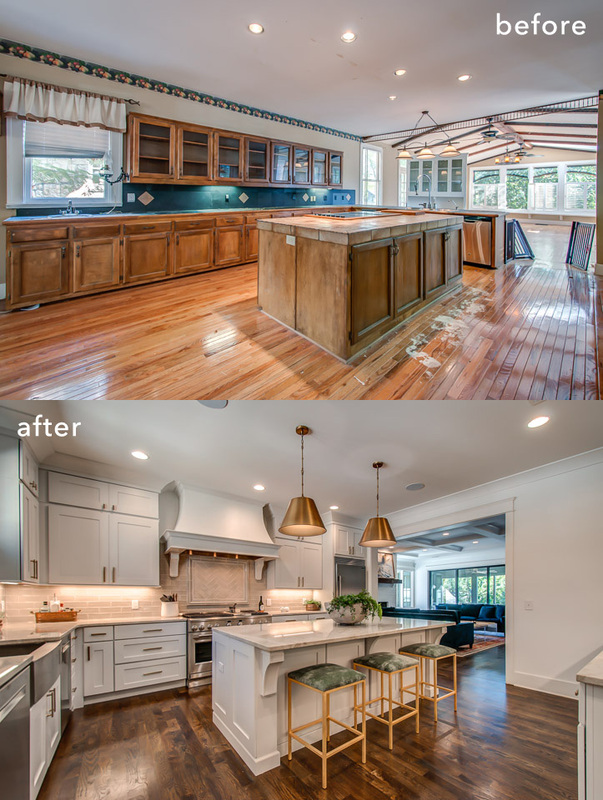 We did a lot of layout shifting to make the kitchen flow and function better, and we went with warm floors and light countertops/cabinets to make things feel clean and cozy at the same time. Couldn’t be more thrilled with the results. The front room was in decent shape; it just needed freshening and a few twists to improve the flow. 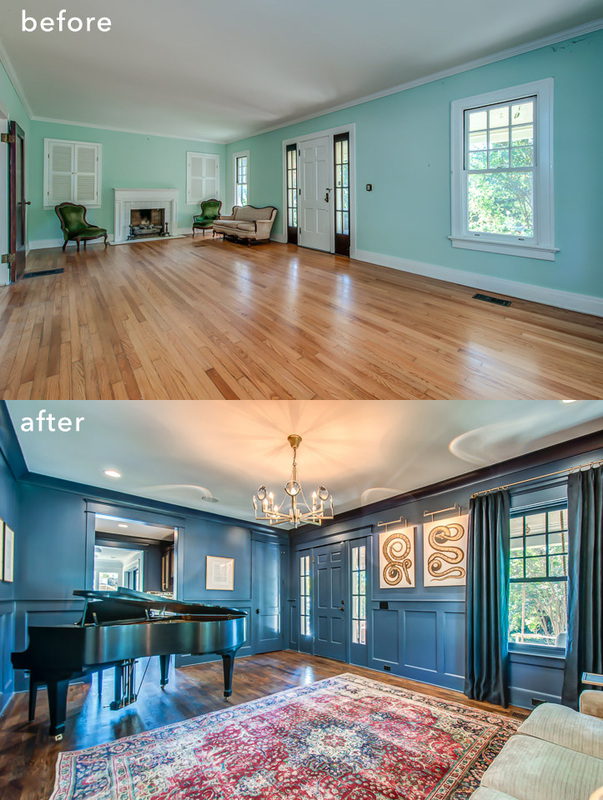 We refinished the hardwoods in a darker, warmer tone, and chose this blue for the walls and trim (with heavy curtains in the same color family) to bring back some historic sensibilities. The dining area was another room that started in decent shape. One of the major changes we made: adding those big, warm beams to bring extra interest and drama to the space. We thought one big statement chandelier framed the space better than two smaller ones, too. This isn’t quite the same angle, but you get the idea: This hallway needed elegance and drama, and we brought it. My favorite touch is the herringbone hardwoods — subtle, but so eye-grabbing and dynamic. The wainscoting comes in a close second, too, amplifying the home’s historic charm. 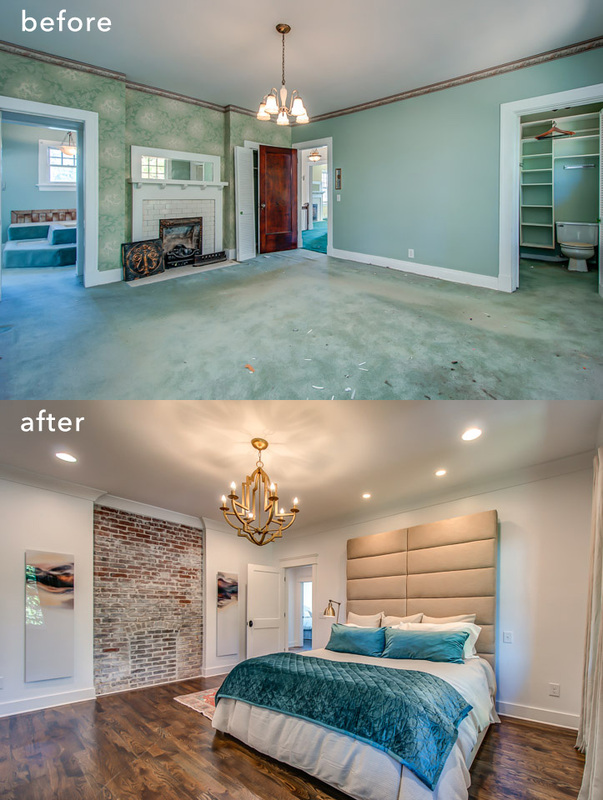 The bedrooms were in dire need of flooring attention, and some had textured ceilings in terrible shape, oddly placed doorways and trim that needed serious refreshing. We took pains to restore original attributes where we could — like this original brick — and elsewhere, tried to make new additions feel appropriate for the era (like the new trim). 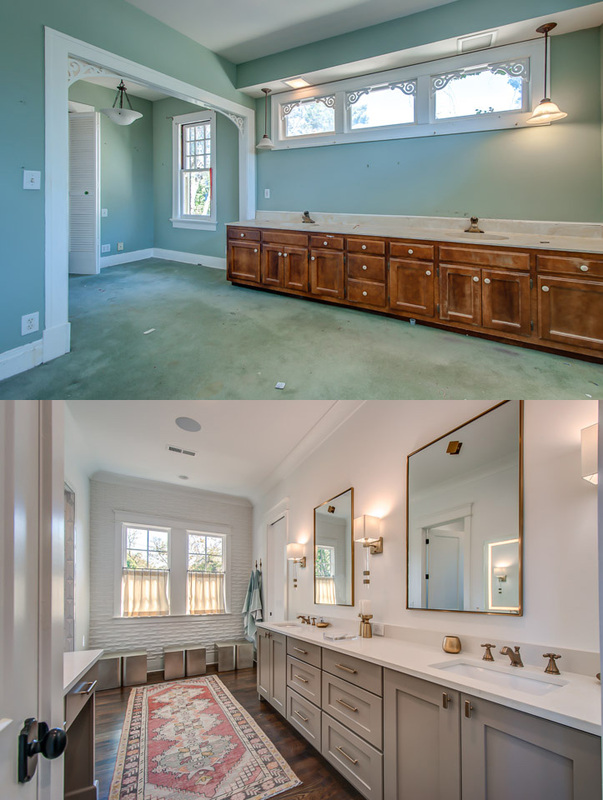 A straight bath before/after is just about impossible, since we completely reimagined the layouts. We had our work cut out for us overall, too. 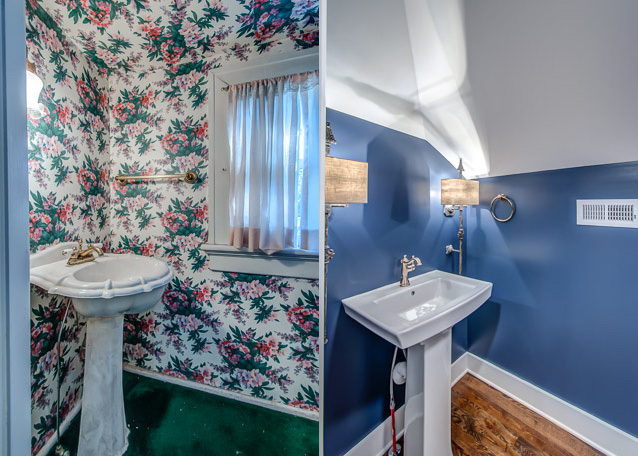 If you went to the right in the before picture above, a commode was sitting out in the middle of the space, essentially, next to a raised soaking tub surrounded by carpet. We made all the bathrooms clean and classic, with fresh flooring, shaker cabinets and copper accents, custom tile work and proper privacy. Even the powder rooms got a full overhaul. 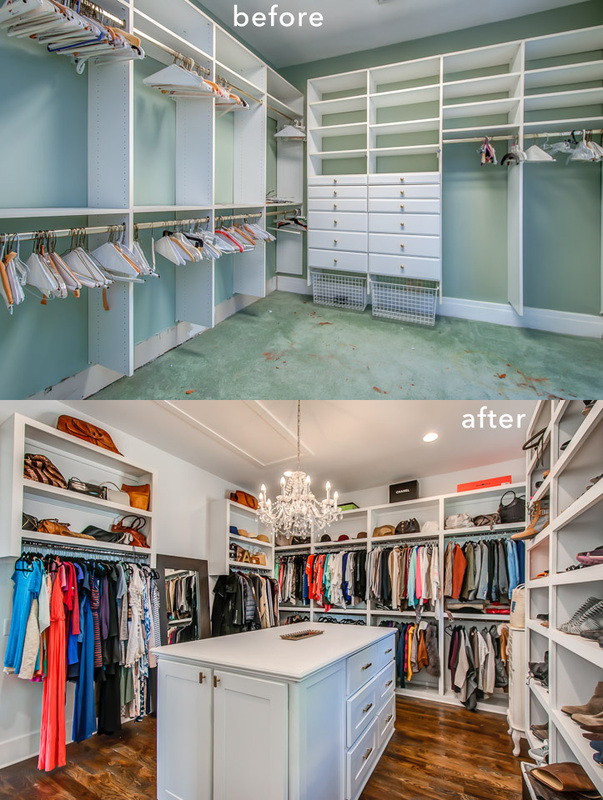 A perfect picture of how much good some paint, light fixtures and a flooring refresh can do. 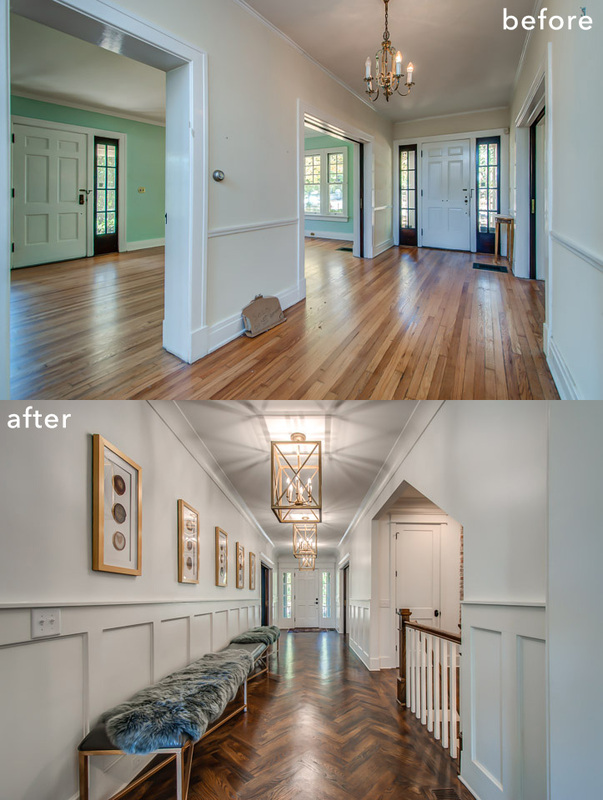 Hope you enjoyed taking a peek into this process as we’ve been walking through it — it’s been a true joy to breathe new life into a historic Nashville home, and we think the results do justice to the property and the beautiful neighborhood. Have you been thinking about taking on a home renovation project in Nashville? More into an already-completed renovation? If you’re searching for something with history in Middle Tennessee, we’d love to help you find it. Reach ACRE here, or for an easy way to get your Nashville house hunt started, fill out this quick form. I live in a one owner 1939 home. It is very rewarding to turn deferred maintenance into a renovation that works with today’s lifestyle, yet maintains the essence of what attracts us to Historic Housing.